This level one play is an excellent entry-level story as it contains lots of repetition, rhythm, rhyme and comedy. It's the story of a boy who continuously receives incorrect advice from his friends on how to play basketball and lots of humour results. This kit floods the students with language learning to rapidly increase their fluency, confidence and motivation. Two teenagers, Marie and her friend Suzanne, are on a holiday trip from their home in Montréal to Martinique. 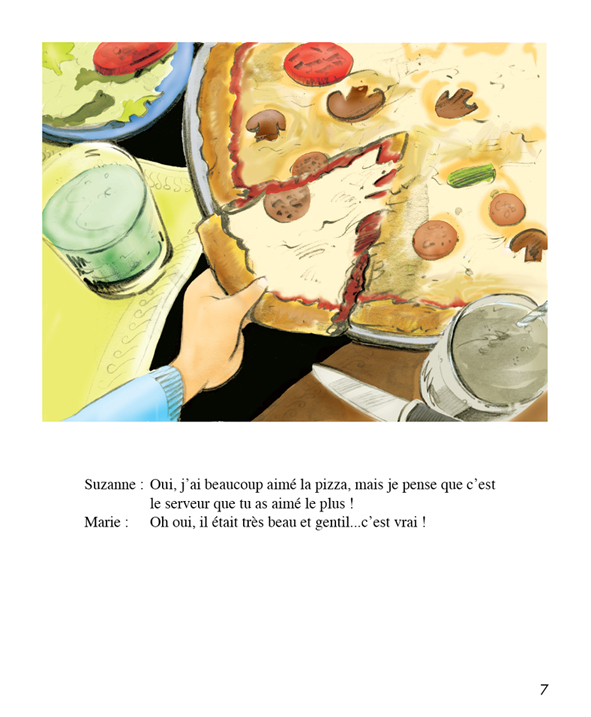 A series of amusing events takes place after Marie bumps into a young man named Pierre at the airport. Marie's initial reaction to Pierre is not very positive, nor does her second impression of him improve when he accidentally spills water on her during some turbulence on the plane. However, he redeems himself at the end of the story during a scuba-diving excursion. 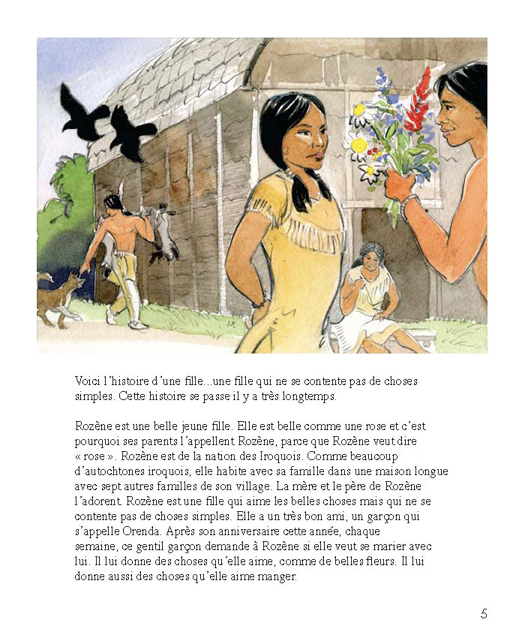 This is a traditional Iroquois story about a teenage girl named Rozène from the Iroquois nation. Rozène daydreams of meeting a tall young man who will sweep her off her feet. 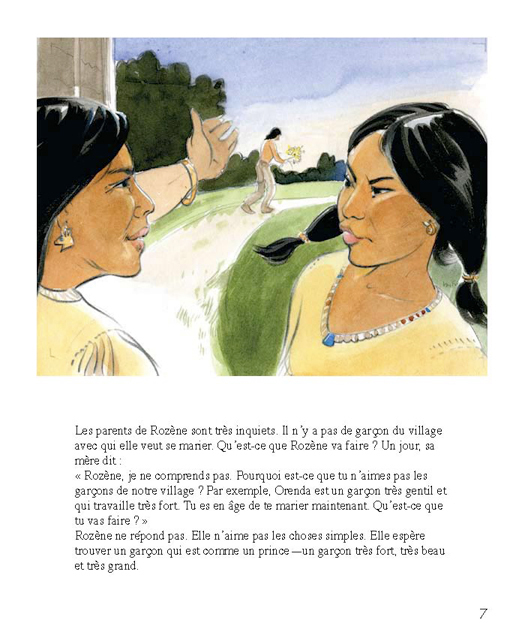 Although her family wants her to marry Orenda, the young man from her village who loves her very much, Rozène wants more. One day, a strong, well-dressed young man arrives at her house and offers to take her away from the village. This is a story about decisions that young people must face as they grow up. It is a story that contains elements of fantasy, adventure and romance, while also giving insight into First Nations culture.